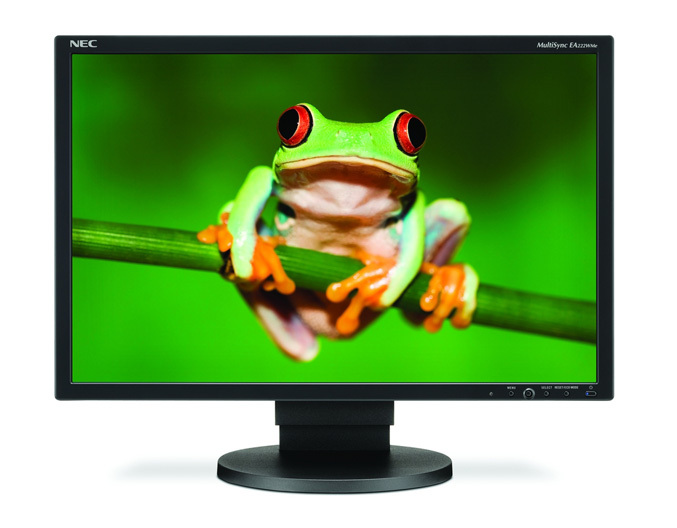 NEC Display Solutions of America, a leading provider of commercial LCD display and projector solutions, announced today its first ever LED-backlit desktop monitor for business, education, government and healthcare markets, the 22-inch MultiSync® EA222WMe. 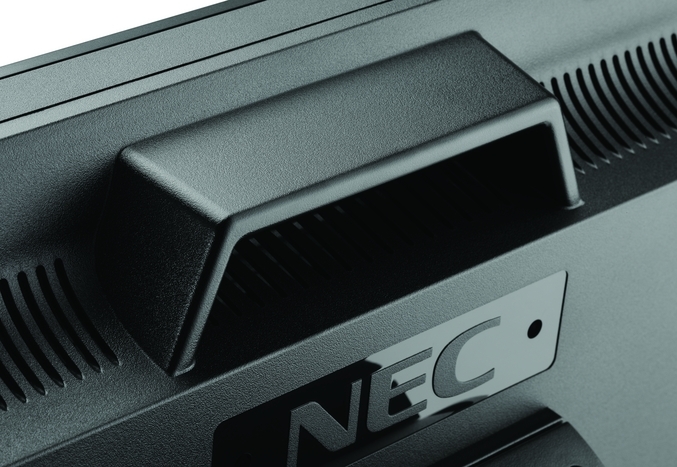 LED backlighting technology enables the NEC MultiSync EA222WMe to provide the same amount of brightness as other panel types while using 20% less power. 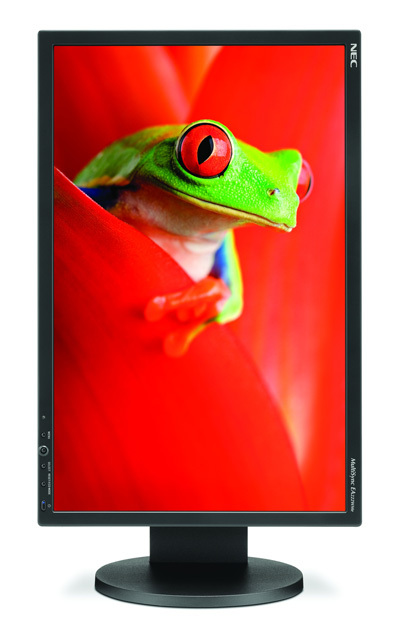 Compared to previous generation NEC LCDs, the EA222WMe consumes up to 52% less power, radiates up to 61% less heat, weighs up to 25% less and uses up to 15% less packaging. The monitor and cables in this eco-friendly display are free of mercury, halogen and arsenic. Additionally, the monitor is compliant with ENERGY STAR 5.0, TCO 5.0 and EPEAT Gold, which solidifies its status as the most energy-efficient desktop monitor offered by NEC. Users will have the ability to track their carbon savings with the display’s resettable carbon footprint meter, a unique tool that calculates the reduction of greenhouse gas emissions. New to NEC’s MultiSync EA Series is the resettable cost meter, which indicates the user’s electricity cost savings via the On Screen Display. The EA222WMe features a full ergonomic stand, which includes 110mm height-adjust, tilt, swivel and pivot functionality that adds flexibility and comfort for any user. With DisplayPort, the monitor provides maximum display performance with a variety of input options that improve resolution and color depths. The ECO ModeTM, along with the Intelligent Power Manager (IPM) system, off timer, ambient light sensor and vacation switch, help conserve energy and reduce carbon dioxide emissions. The MultiSync EA222WMe comes with a 3-year parts and labor limited warranty and will be available for December 2009 shipment at an estimated street price of $339.